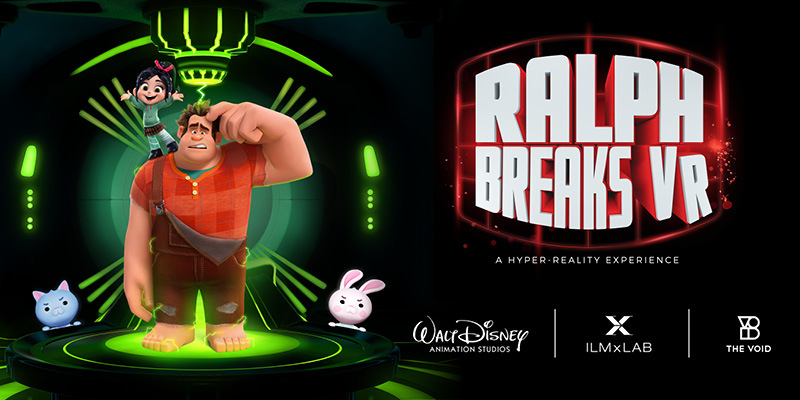 Following the theatrical release of Wreck-It Ralph 2 on November 5th, Disney’s ILMxLab is preparing to release a VR experience that ties into the movie. On November 21st Rec Room locations in Toronto and the West Edmonton Mall are premiering Ralph Breaks VR at the Void VR arcades. In the experience, players sneak onto the internet alongside Ralph and Vanellope, two characters from the film. As the users journey to the world wide web, they’ll be treated to a food fight against “evil kitties and bunnies,” reads ILMxLab’s press release. This new game is part of the Void full-body virtual reality experience that aims to make VR as immersive as possible. The latest Void game is based on the Star Wars franchise. MobileSyrup’s Patrick O’Rourke and Brad Shankar tested out the experience and walked away impressed with what it had to offer. Ralph Breaks VR launches on November 21st and it costs $34.95 CAD per person for one run through the activity.